Discussion in 'Hunting Stories' started by Homebrewer, Nov 2, 2018. 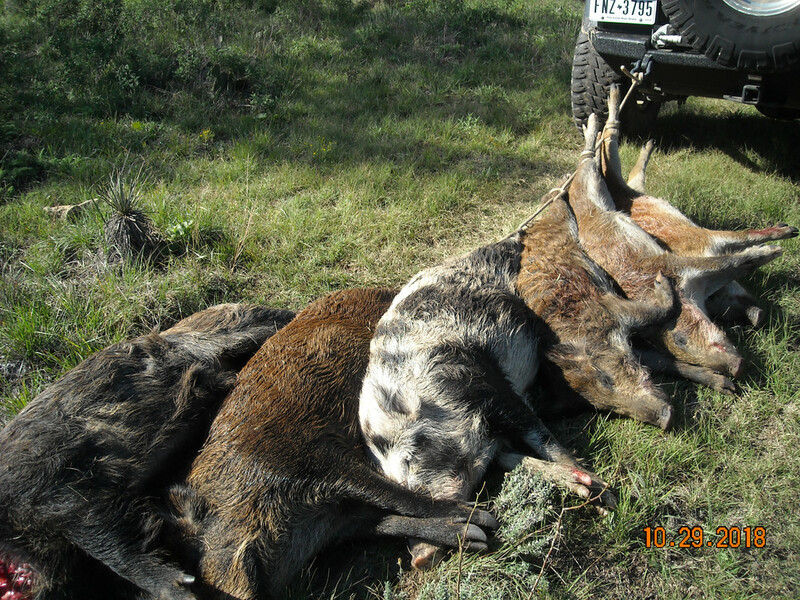 10/29 Callahan county TX, trip to refill feeders at the deer lease was productive. 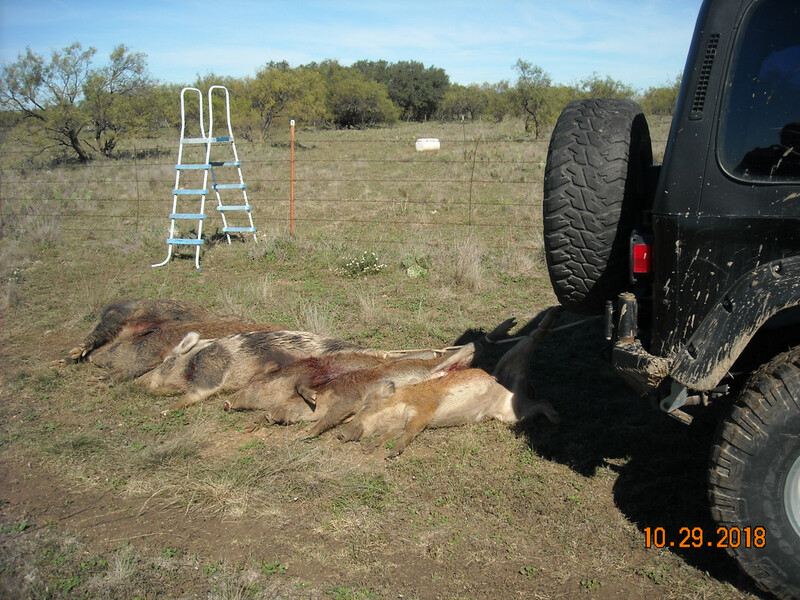 Six hogs down with Cavity Back 125gr MKZ's from my A-R-Performance 18" 30 Herrett / TAC 30, at 2753 fps. Thors' bigger hammer killed the hogs like a lightning bolt. 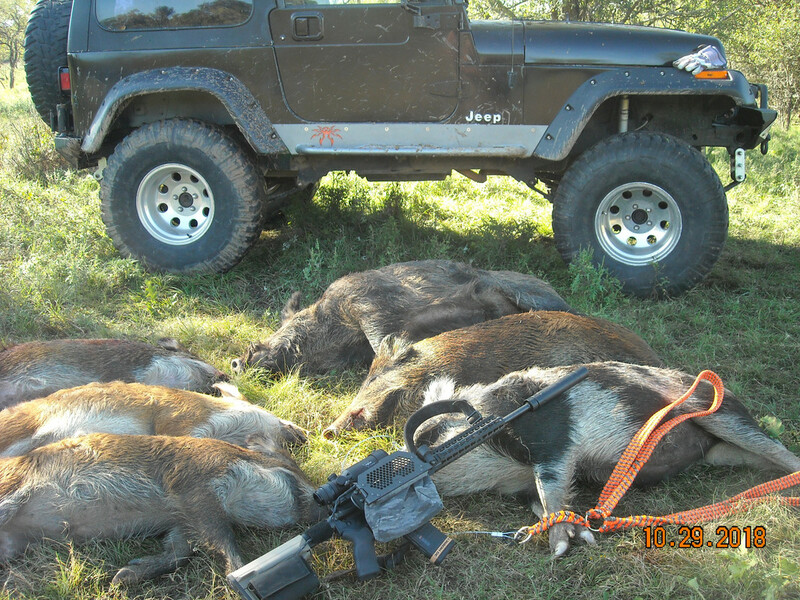 Had a sounder of 20-24 hogs show up - 5 single shot kills, one runner needed two shots to connect. 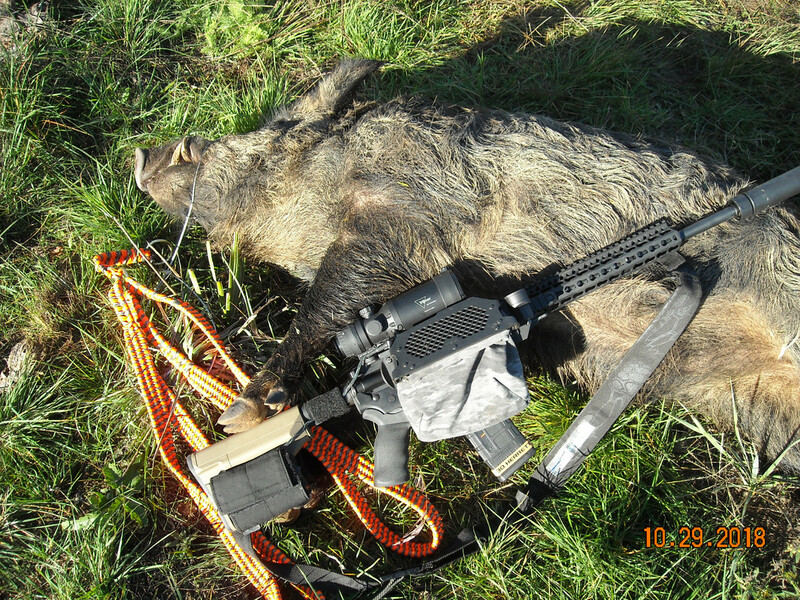 Killed the alpha sow first (105yds). The sounder bolted, but stopped in 10-15 yards to see where their leader was. Bad mistake - and repeated until the last hog drilled at 240-250yds. Reallly like the way the 30 Herrett hammers the hogs. 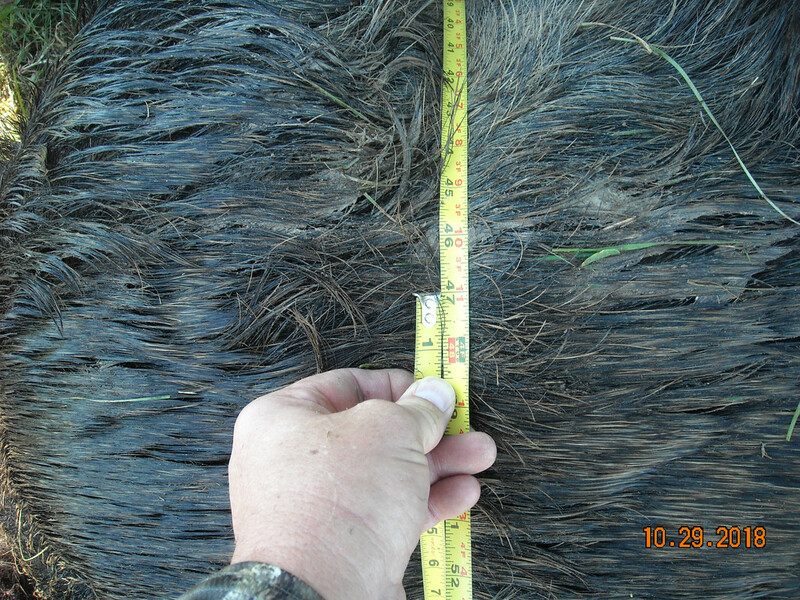 270 lb Sus Boar... 47" chest circumference. Aannndd a fence crossing for Brian! RattlesnakeDan, Chopperdrvr, Ratdog68 and 2 others like this. Solid work Sir and love the “Thor’s bigger hammer” lol. That’s a load of hogs there! Good work! Good Shooting! Synchronized hog-dragging... I likes it! Nice big boar too. Fancy-schmancy fence ladder there. Hogs on a stringer. Looks like you went fishing for hogs. Love the jeep. Nice work, Keep After 'Em!